Pretty cute, right? 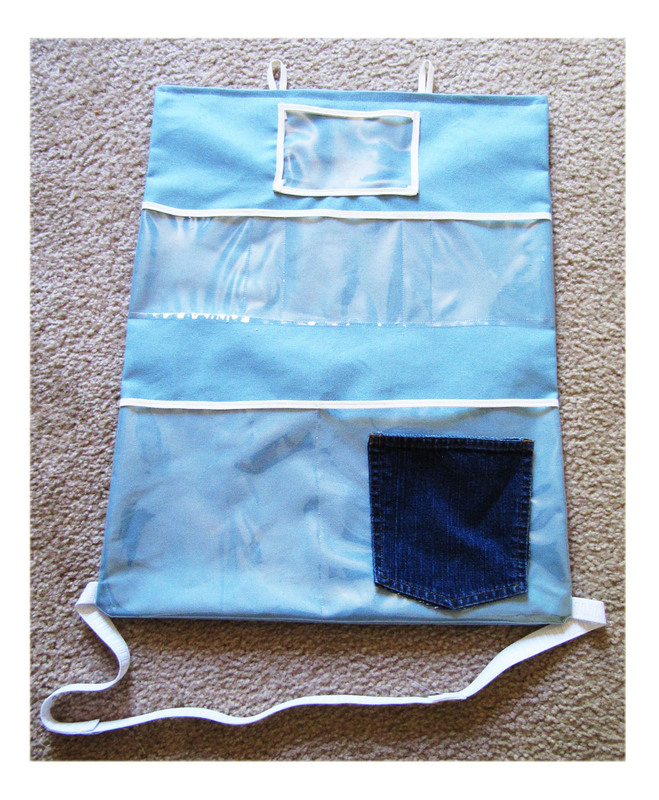 I used canvas material so it would be good and sturdy, and I bought clear vinyl for the pockets. Note: Sewing vinyl is tricky! 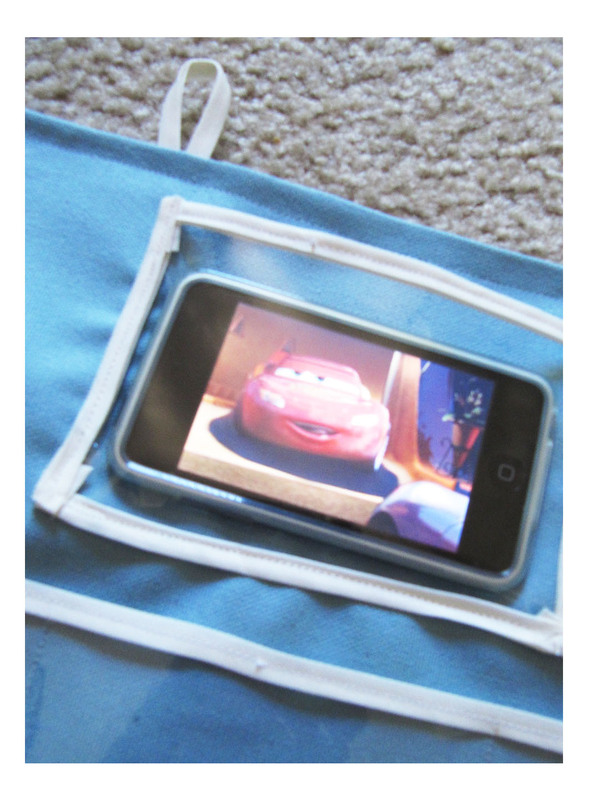 It should come with a paper layer, so make sure to always sew it with the paper on it, otherwise it will stick to your machine. Next thing I learned…it is very easy to rip off and definitely not 2-year-old proof. The little pocket on the top for the itouch stayed intact because of the binding I put around it, but not the rest. 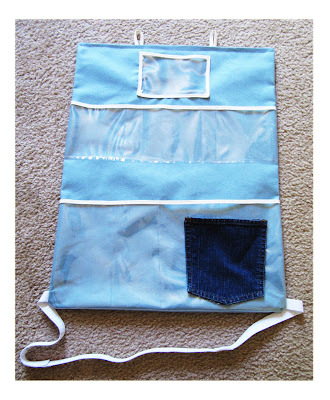 So next time, I will use fabric for the pockets. Easier to sew anyway. Would anyone be interested in a tutorial for this? That is adorable! It would make a great tutorial!